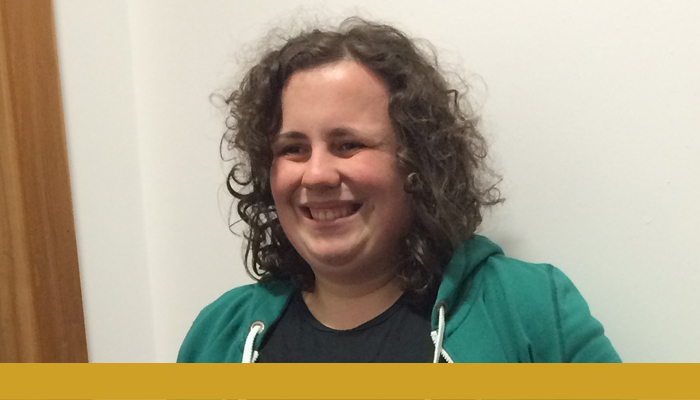 Claire on how a youth forum has indulged her passion for politics. Losing most of my vision overnight four years ago left me devastated, but I was determined to be independent. Facing the prospect of coping without the reassuring presence of family and friends, who could not always be with me, I turned to RNIB. They suggested I join Haggeye, the Youth Forum. Through them, I have indulged my passion for politics, being elected to the Scottish Youth Parliament. I recently stayed alone in a hotel for the first time, when I addressed the Children and Young People’s Rights Review and attended an SYP Voluntary Organisations skills weekend in Edinburgh. This meant I experienced the daunting prospect of spending an entire weekend away from home. For someone recently diagnosed with sight loss, these apparently modest achievements cannot be overstated. RNIB has walked every step with me, from the first tentative steps, supplying the tools to enable me to gain independence. For that, I will be eternally grateful.